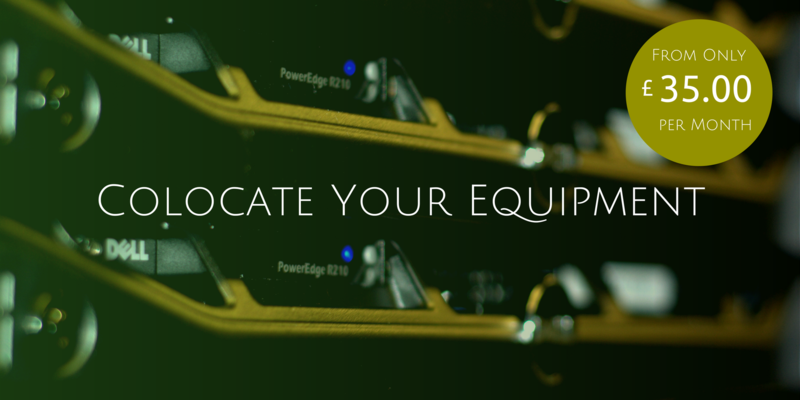 Are your onsite servers becoming a burden to your business? Perhaps they’re taking up more room than you can spare, then there is the immense amount of power they consume and ensuring that the power you get is reliable, plus you have to make sure they are all cooled at the correct temperature to ensure they will last long enough to get your ROI back. It can be a burden to keep your servers on your premises for many reasons, but there is an alternative. Have you ever thought about the benefits of colocation for your servers? If you still have your servers situated within your office or perhaps within a datacentre that hasn’t lived up to your expectations, isn’t it time to consider the benefits of switching to Netcetera? Moving your computers to Netcetera is a very easy process where you’ll be guaranteed from your initial enquiry right through to moving your equipment to get the very best support and advice available. Netcetera can offer Datacentre Solutions for your business from only £35.00/pm with FREE SETUP and UNLIMITED REMOTE HANDS. If you choose Netcetera for your Datacentre Solutions you’ll also have your servers located in one of the world’s most respected offshore financial business and E-gaming jurisdictions. Netcetera has owned and operated The Dataport for over 20 years, providing datacentre solutions to businesses in over 75 countries around the world. All of our colocation comes with Generous Banwidth, Intelligent Hands – there for your equipment when you can’t be, Generous Power – with sustainability guaranteed, High Security – to keep your valuable equipment safe and secure and Netcetera’s award leading 24/7 technical support and customer service. Netcetera’s datacentre solutions will not only provide you with the best home for your servers but through choosing Netcetera you will also reduce your carbon footprint at the same time. Our location is famed for it’s excellent infrastructure, security and leading global communication systems and is the chosen home for some of the world’s largest E-Gaming and offshore service providers. The Isle of Man has recently been named as the safest place to live in the UK remaining immune to some of the major threats that now affect many of the UK’s cities. Something that could be worth bearing in mind the next time you’re deciding on the safest place for your IT hardware to be located. Choosing to colocate your servers to Netcetera couldn’t be easier. With a friendly knowledgeable staff team on hand, 24/7 technical support and pricing from only £35.00/pm, why not make Netcetera your first choice for colocation. Previous: Previous post: Announcing Our New 16 Core Dedicated Server – From Only £150.00 per month!